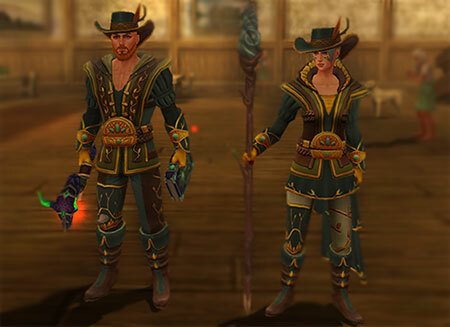 To celebrate Ostara: The Great Hunt, we'd like you to design a Spring style weapon, relating to the world of Celtic Heroes! The most creative shall be rewarded. Worry not if you feel your drawing skills are not up to scratch, as this is a design we'd like to see colour, a general look of the weapon (basic drawing or more) and possibly stats that the weapon might have! You are welcome to design a "SET" of weapons of the same style you choose, but please remember its not about the amount you send in, its about the attention to detail and the creativity behind it. A deadly weapon forged around a feather shed by Blodeuwedd, the owl goddess of spring. It glows with the sunshine of spring and is warm to the touch. This weapon gives the user the stealth of an owl, increasing their camouflage by 40%. The studio loved the creativity and imagination of all entries but chose these as the winners for this Spring Competition. The winners/runners up and honourable mentions were all selected on their creativity and imagination when creating their weapon styling, stats ideas were taken into account along with weapon descriptions. "Only the most spiritually enlightened druids who have transcended from their human constrictions can obtain this staff. All forms of life are at the bearer’s command, so long as their intentions remain pure and untouched. (Additional Info) This weapon is a blessing from Danu bestowed upon Druids who have fully integrated their mind into the living world around them. 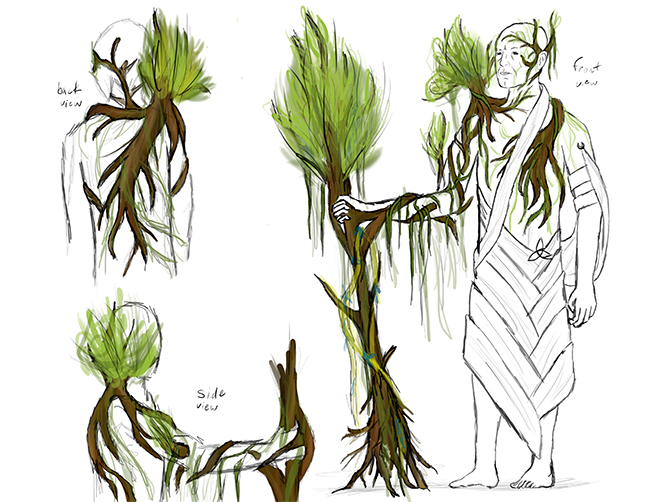 Danu’s blessing will sprout from the purity and loyalty of the bearer’s heart, and continue to grow as the bearer’s knowledge and understanding of the natural world grows. It’s rumoured that when these druids die their souls return to the Earth to be reborn in another lifetime." Danu’s Blessing has a random chance of occurring during combat; it will restore the player’s health and mana by 15%. When not in combat the player’s abilities to heal themselves and other players is significantly increased. Be sure to read. Level requirement was just an addition, I'm not sure what it should be. This weapon was harvested from the goddess Boann's lilipads, with the purpose of saving Dal Riata from the evil that threatens it during the season of Ostara. 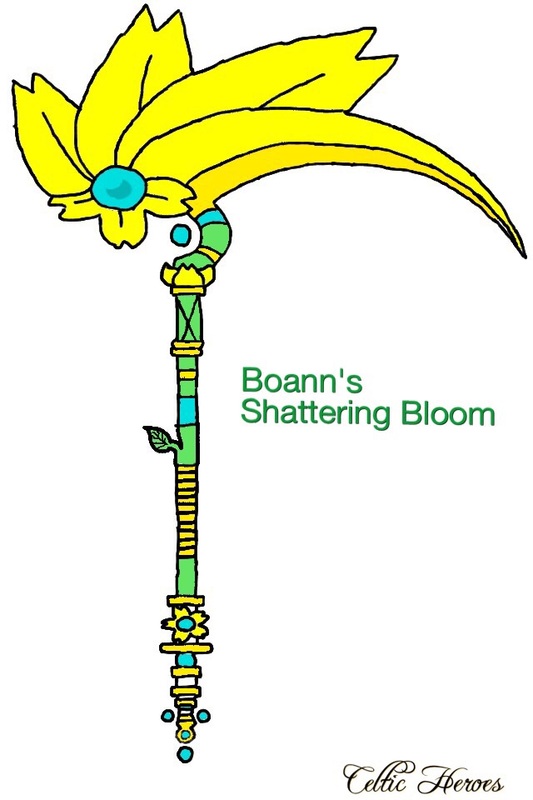 This beautiful flower is enchanted with the touch of Boann, increasing its durability, allowing for use in battle. Grants Boann's Bliss which regenerates 40 health and 30 energy per tick when out of combat. Has a chance to perform Blooming Dance, which allows you to hastily attack with increased damage for 15 seconds. Sorry for edits. People posted under me! Last edited by Jonsa on Wed Apr 22, 2015 4:56 pm, edited 5 times in total. Your wish is granted. Now you can rule the battlefield with this enchanted wand. Equipping this wand gives you Ostara's Blessing, increasing your elemental resistances each by 100. Last edited by Rikitt on Wed Apr 29, 2015 2:52 am, edited 5 times in total. Last edited by Galatic on Thu Apr 23, 2015 4:23 pm, edited 1 time in total. Nice one Jonsa! I like that one. XxDiabloxX wrote: Nice one Jonsa! I like that one. Last edited by Hison on Wed Apr 22, 2015 5:42 pm, edited 2 times in total.